Ideal to use in numeracy group rotations or as a warm up activity. Children can work in small groups or independently to match the number words, numerals and quantities up to 10. Print and laminate the bunny setting template. 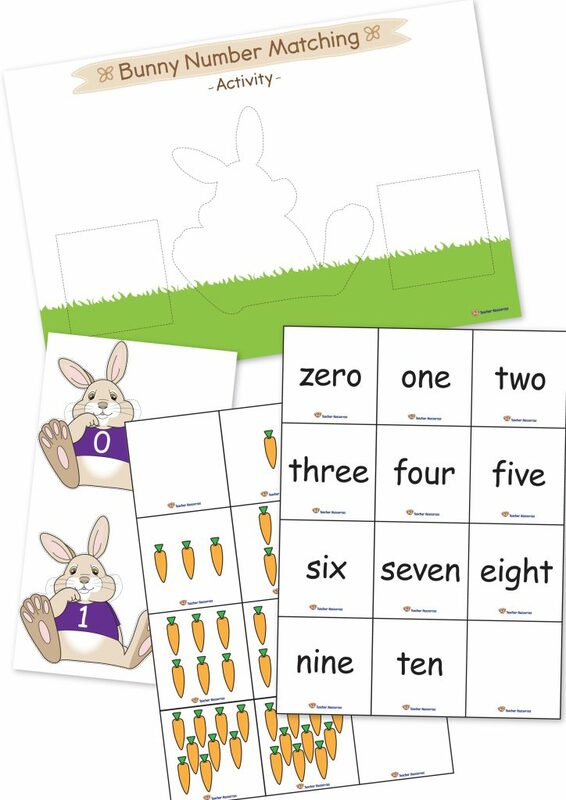 Print, then individually cut and laminate the bunnies, the carrot cards, and the number word cards. Children match up the numeral on the bunny’s t-shirt, the corresponding carrot card and the number word card. Children place the matching cards on the bunny setting template. What would come next – Children could pick a number card and make collections of other objects.